Ananka's Diary: It's Giant Squid Day! While the Irregulars’ are waiting for the media frenzy surrounding Dr. Mayhew’s arrest to die down, I thought it would be a fabulous idea to share information on some of my favorite topics, starting with . . . giant squid. I’m proud to say that I took the photo above. 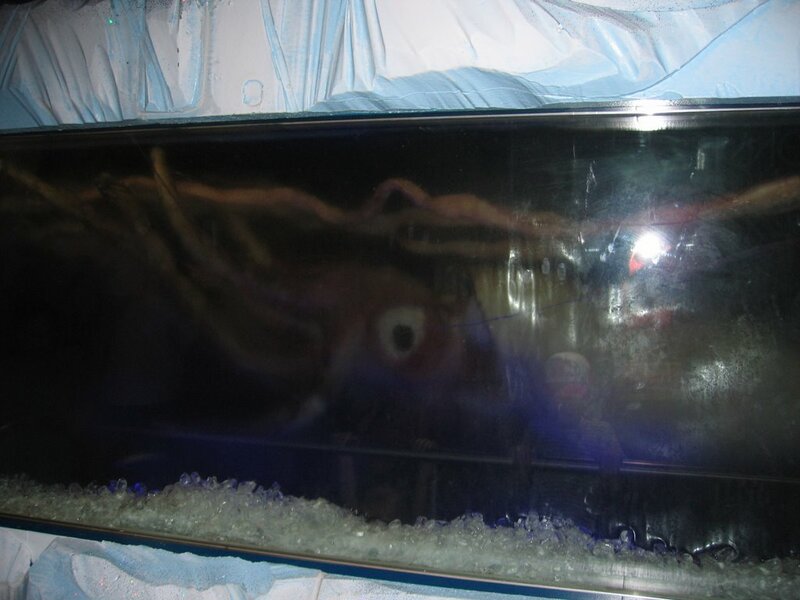 It’s a giant squid that was discovered (dead) off the coast of Japan, then frozen in a block of ice and exhibited in an aquarium in Australia. It was the first time I’ve personally come face-to-face with Architeuthis, and I have to say the experience was well worth waiting two hours in line beneath the unrelenting Australian sun. Shortly before this picture was taken, Japanese scientists achieved what many had deemed impossible. They captured video images of a living, fully-grown giant squid attacking a piece of bait. Until last year, only dead adult Architeuthis had ever been discovered. Those of you planning a trip to the beach should know that the elusive giant squid, which can reach 60 feet in length, is not even the largest squid in the ocean. That honor belongs to Mesonychoteuthis hamiltoni, the so-called “Colossal Squid,” which lives in the ocean depths surrounding Antarctica. In fact no one knows just how big the creature is able to grow. Only one dead specimen has ever been discovered intact.